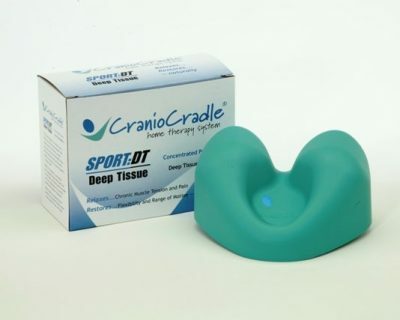 The CranioCradle and Sport DT are made to aid patients with a broad range of head, neck and back ailments. 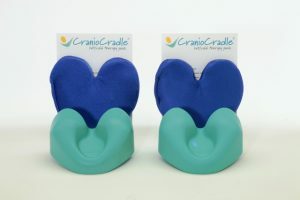 Use the CranioCradle within your treatment session or recommend for home care. 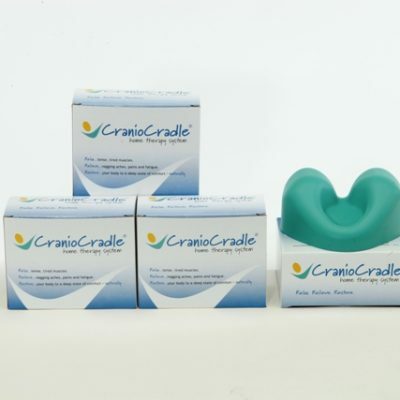 Your patients will feel comfortable as the CranioCradle supports and helps relieves pain. 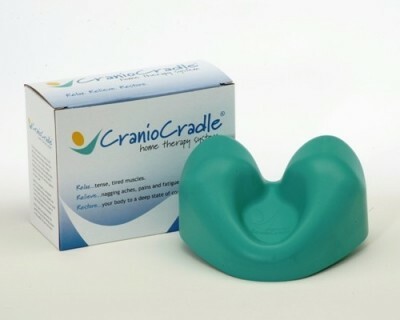 Let the CranioCradle Home Therapy System help you and your patients today. Use with any manual health care modality from Osteopathy, Chiropractic, Physical Therapy, Myofascial Release and Massage Therapy. See our reviews from other Professionals! Contact us about special bulk orders! Professionals review our product and give great examples of how the CranioCradio can improve your practice. As a massage and/or light-touch therapist we understand how important it is for you to provide your clients with the best possible experience. The CranioCradle® can enhance your practice by giving you an extra pair of hands during the treatment session allowing your client to enjoy a deeper sense of relaxation and relief. 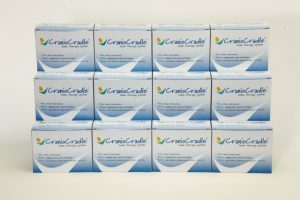 You will enjoy all the benefits of adding the CranioCradle® to your daily treatments – and so will your clients! I have been a PT for 40 years and a CST practitioner, curriculum developer, author and international teacher for 30 years. I use the craniocradle exclusively for my patients as home care and self care . It is the best designed positional aid I have found to gently invite the craniosacral rhythm to enter into a therapeutic stillpoint. Simply put it cradles the occiput as the bone moves through the craniosacral rhythm of flexion and extension and gently pauses the movement by the design of the cradle. The pause invites healing change until the Inner Wisdom begins the rhythm again. It can be used independently of a therapist or as part of ongoing care. It can help anyone relax the tone of their neck muscles. It is safe and comfortable. It can be used to pause the CSR at the sacrum as well. It can also be used as a two unit application to gently facilitate craniosacral rythym with therapist instruction. I recommend, without reservation, the craniocradle for manual therapy clients suffering with back pain , headaches, TMJ, stress, chronic pain, posture awareness and as a passive way to promote well being.